Call us today on 08451 649 535 to speak with one of our friendly specialists. 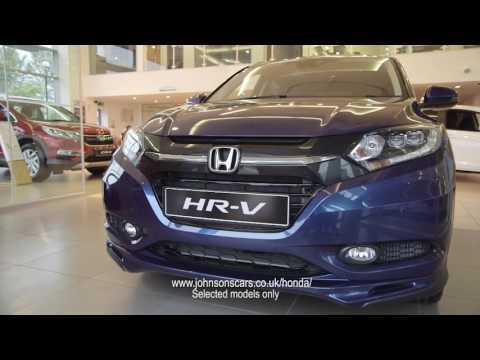 Find an extensive range of high-quality Approved Used Honda vehicles at Johnsons Cars, along with a team of dedicated brand experts to help you find the right model for you. From the agile Honda Jazz to the stylish Honda Civic and Civic Type-R, there’s something to suit every taste and lifestyle, all available in a range of trims and specifications. At Johnsons, we put every used car we sell through a series of extensive tests and checks to ensure each vehicle is in the highest working order. Our manufacturer-trained technicians also offer a full range of aftersales services at competitive prices, so your Johnsons journey doesn’t have to end when you drive away. We update our online stock regularly, so make sure to keep checking in so you can see our latest models. Before you decide which car suits you best, find out why you should buy a used model from Johnsons Honda by clicking here. For more information or if you have any questions, don’t hesitate to contact us via email, telephone, or directly at one of our Honda showrooms.